Fourteen years and the spirit of the Lauren’s First and Goal Football Camp continues stronger than ever. It’s a day full of football, but everyone who attends is united in a common goal that is more than the game. It’s about raising money to battle pediatric brain tumors. 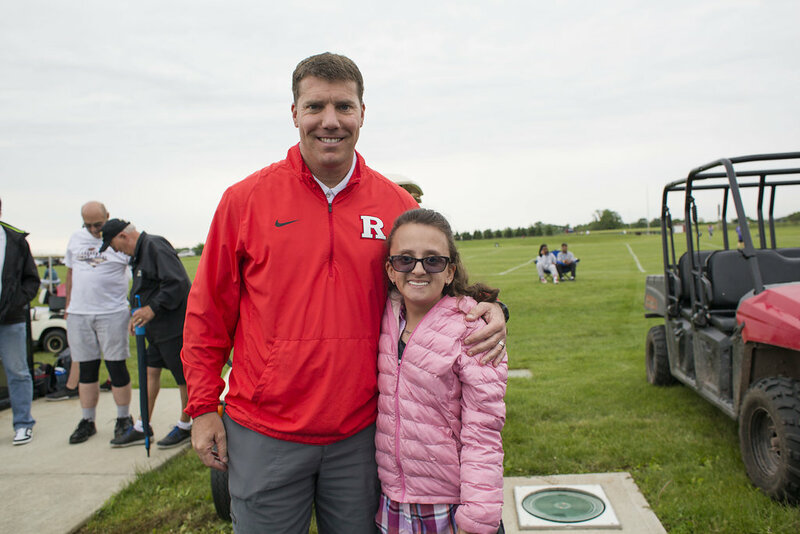 Rutgers football head coach Chris Ash spoke with student-athletes as this year’s featured guest speaker. Along with Ash, 20-year-old Lauren Loose, for whom the foundation is named, made a lasting impression. She shared with the crowd “Lauren’s Life Lessons,” including dreaming big, liking the person in the mirror, and being kind to others. You can watch Lauren’s speech here. Throughout the day, the campers–high school athletes from 16 states and Canada–received instruction in a variety of offensive and defensive skills. They also competed in individual drills to showcase their talent and allow the college coaches to evaluate them. "The hundreds of volunteers did an unbelievable job running the camp again,” said LFG founder John Loose. “Friends and family come from all over to volunteer their time and effort to put this all together and we can't thank them enough for all their support." Loose added, "The Lafayette College community past and present worked extremely hard to make the camp another tremendous success. Matt Bayly (Lafayette College Head Director of Sports Medicine) and his staff, along with our medical sponsor Coordinate Health, worked tirelessly to take care of the players on the field all day. Lafayette Head Football Coach John Garrett and his staff and all the volunteer coaches from around the country provided players with tips that will make them better players in the future." Camper registrations and donations from the one-day high school camp support the foundation’s mission of funding pediatric brain tumor research and patient services and assisting families living with the disease. Since its founding in 2004, Lauren’s First and Goal has awarded almost $1.8 million in grants toward its mission. In addition to the Pennsylvania event, Otterbein University in Westerville, Ohio presents an annual LFG camp Sunday, June 11. Get more camp and foundation news at www.LFGF.org.